After I arrived home from my road trip vacation with Debby I had a package waiting for me. 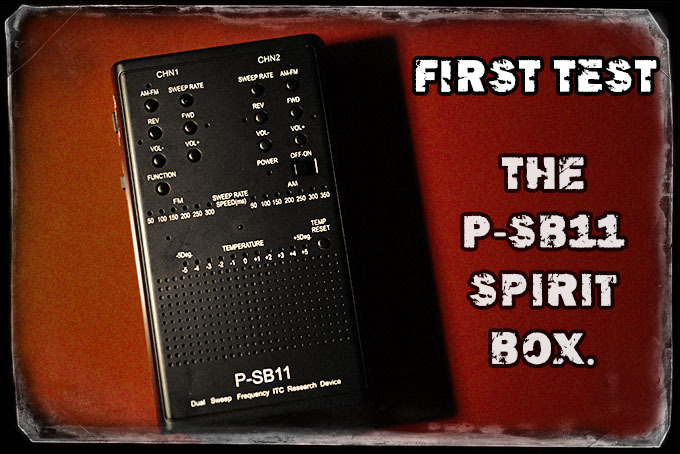 Well, I had a few packages waiting and one was the new P-SB11 spirit box. Designed by Gary Galka, this is a souped up P-SB7 on steroids with a new shell, a slew of new features and it does appear to pull in many more spirit voices than the P-SB7 ever did. I was lucky to be one of the 1st ten to get one so I plan on many tests with the device. The P-SB11 is 2-3X the size of the P-SB7 and costs about double. Coming in at $149 it is not cheap and is creeping up on the cost of a handmade boutique box like the Andyy’s Box. With that in mind I was anxious to give it a spin so I unpacked it and brought it in the back room to test it out. My 1st impressions after only ONE session? It is noisy. I MAY have a defect as when the voices come out it has some distortion involved and I am not sure if this is right. 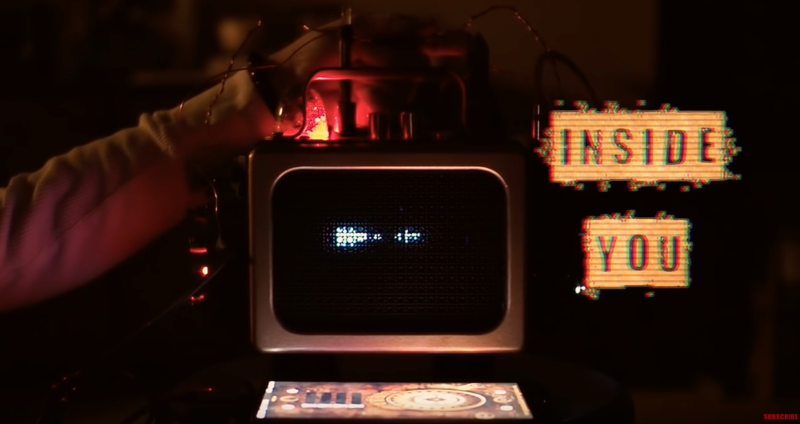 To rule out the speaker I hooked up an external to one channel and it was doing the same thing. If this is normal then it is not great as the voices will be distorted at times. With that said, the scan is smoother than the P-SB7 and not quite as harsh but does sound similar. The cool and amazing thing though is that MANY spirit voices were coning through, just in my 1st test! A few told me “It’s Working” and some said my name. My spirit guide came through (Eva) and even at 50 MS, the fastest scan rate, I had responses..direct responses. You can see them all in the video below for yourself. The S-B11 is a dual tuner and dual scan, so you basically have what is like two SB7’s (with a new design and circuit of course) running side by side with independent scan rates, independent AM/FM choice and independent volume. You can run one side in FM and the other in AM. One side at 50ms and one side at 200ms. It is an awesome design and offers all kinds of options to experiment with. 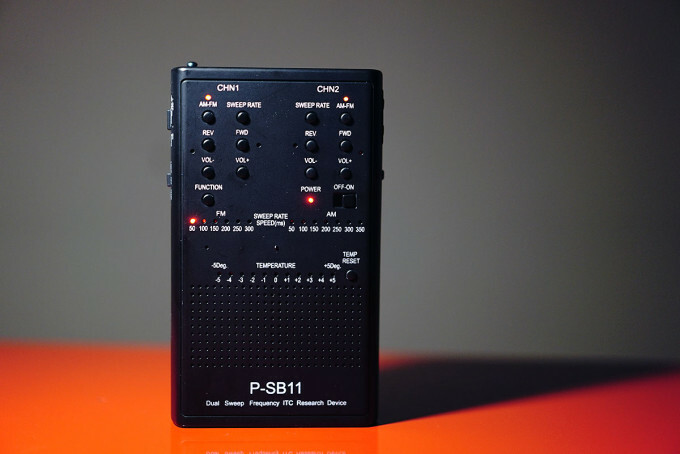 You can now order the new P-SB11 direct HERE. The price is $149. Is it better than two P-SB7’s? YES. No question. It is a very powerful device that also has a temperature monitor on it that will alarm if the temp gets cooler or hotter and also has a red light flashlight at the top for those dark areas. I will be seeing if I can tame the distortion or electrical noise that is coming from it at times. If I can get that cleared up this is a winner all the way around just due to the fact that as soon as I turned it on, voices and responses were coming through. If they can somehow work on this design and smooth out the harshness to where the static is quieter and the voices louder then it will be the one to beat. Maybe even add some sort of squelch like a Joe’s Box. Maybe over the next few years they will get to that point, and if so I would expect it to come in at $300-$400 and it would be worth it! For now it is a fantastic box though because there is something there that just brings the spirits in. IN fact, that is all I heard coming from it! At $149 it is a great box to buy and own and USE. Check out the video below for my 1st look and first test with results! Talking to the Spirits in my Home with my Latest Wonder Box. January 30, 2017 Apps, Evidence, Ghost Box, PORTAL, Spirit Communication, WONDER BOX Comments Off on Talking to the Spirits in my Home with my Latest Wonder Box. 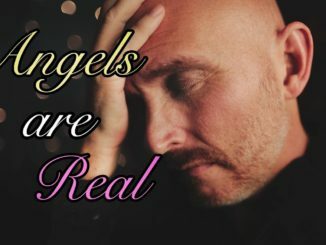 Hear Angels Give me Energy. Talk of God and their LOVE. August 30, 2018 E.V.P., Evidence, Featured, Ghost, Ghost Box, INCREDIBLE, SCD-2, SOULSPEAKER, Spirit Box, Spirit Communication, Talking to the Dead Comments Off on Hear Angels Give me Energy. Talk of God and their LOVE. 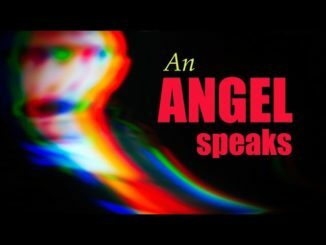 February 24, 2019 Apps, Class A EVP, DR60, Evidence, INCREDIBLE, ITC, News, PORTAL, Spirit Communication Comments Off on Trying to connect with Angels and Guides and a new Theme Song!